17. WHAT IS IN YOUR HAPPY PLACE? One of the happiest places I have in the world is where my Dad lives in Switzerland (as opposed to calling it our Swiss Chalet – which sounds a bit more wanky right?!). Because we moved around so much when we were younger – we never had a real family home – except for Chalet Edelweiss (yes, very original I know). No matter where we were in the world we would visit our small town of Troistorrents at least once a year. It was the only constant abode in our nomadic lives. To me it is a symbol of family time. Of easy days full of laughter and time. Of magical Christmases and wildflower filled summers. It holds wonderful, wonderful memories of board games, fire-side chats and warm neighbours. probably every pair-less mitten and glove known to man. having to pay for my own plane ticket. responsibilities. 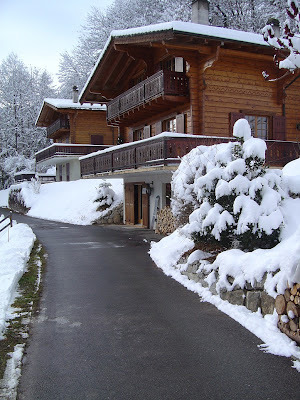 Whenever I have a bad day and need to ‘go to a happy place’ in my mind, I visit Chalet Edelweiss.